The first ever CarFest, a car and music festival with which well-known broadcaster Chris Evans has ventured into the world of motoring festivals, concluded on Sunday, with a stunning display of cars. The CarFest, which began on Saturday, was held at Laverstoke Park Farm, Overton, on an estate which is owned by Jody Scheckter – a former Formula 1 champion. Jaguar Land Rover (JLR), a unit of India's Tata Motors, has said that it will create a total of 100 new jobs in the West Midlands region of the United Kingdom. The company said that it will employ additional workforce at it Castle Bromwich plant. The expansion in the workforce is to support the launch of new Jaguar models, including the XF Sportbrake. The company described it as a very exciting time for Jaguar. Jaguar Land Rover, a unit of India's Tata Motors, is planning to set up a new assembly plant in Brazil to be able to tap into the market that is set to become the third largest in the world. The multinational automotive group is holding discussions with the Brazilian government for establishing an assembly plant to assemble the premium brand's Land Rover Freelander model in the country. Jaguar Land Rover's compact crossover SUV will be imported from the kits imported from UK. 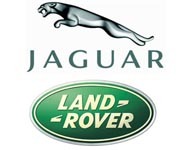 Tata Motors ' Jaguar and Land Rover unit has recorded strong growth during April-March 2012 period even as the company's domestic Indian business faced difficult year in the country. The sales of Jaguar and Land Rover models increased significantly specially after the launch of Range Rover Evoque crossover. The global sales of the entire group increased 26 per cent year-on-year to 1,39,655 units in March. 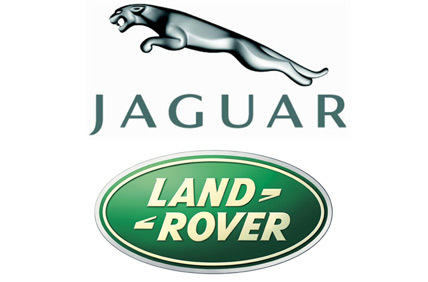 UK-based Jaguar Land Rover (JLR), a unit of Tata Motors, has reported an increase of 39 per cent to 26,158 units in October 2011 compared to the same month in 2010. The sales of Jaguar cars grew 63% to 5,231 units and that of Land Rover sport-utility vehicles increased 34% to 20,927 units in the same period. 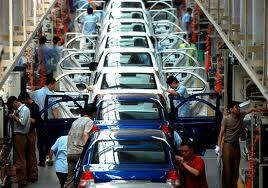 The commercial vehicle sales increased 6% to 43,184 units worldwide in he month f October. Jaguar Land Rover is planning to showcase its new Evoque Diesel Coupe over the next few weeks as 800 journalists arrive in Liverpool. The company is probably the first to launch the car in the place where it is manufactured, Halewood. The company's chief executive, Dr Ralf Speth had said on a visit to the city that the company will use the location to launch the new Evoque. What if India was earlier not affluent enough, with a very small car market and may be for that matter, it had never been a preferred destination for the top car manufacturers in the world but for now the things seem to have changed for so called developing country, India. The great Indian auto industry has developed manifold, with it to have stunned the world by becoming one of the world’s fastest growing auto industry today. Beijing, Oct 16 : German auto giant BMW has recalled more than 21,000 luxury sedans from Chinese customers to fix the faulty brake system, while British carmaker Jaguar Land Rover has announced the recall of its 30 Discovery 3 TDV6 diesel vehicles. BMW's vehicles which have been recalled include 21,383 imported BMW 5, 6 and 7 Series manufactured between Dec 14, 2001, and Nov 23, 2009, and 388 Rolls-Royce Phantom luxury cars manufactured between Jan 1, 2003, and Nov 30, 2009, Xinhua quoted a statement by the General Administration of Quality Supervision, Inspection and Quarantine (GAQSIQ). It has been learned from the sources that the Tata group firm Jaguar Land Rover is geared up to start assembly of sports utility vehicle Freelander2 from November this year at Chikhli facility in Maharashtra. It may be noted here that the plant was earlier used by Mercedes Benz but after Tatas notified the luxury car major about its future plans, the company manufactured a Greenfield facility at Chakan a few years back. The country's largest auto company, Tata Motors is very much serious about the dragon land and the growth that it can garner by operating in the economy. According to the recent announcement by Tata Motors' Group Chief Executive Officer and Managing Director, Carl Peter Forster, the company will be expanding its reach of the Jaguar and Land Rover (JLR) brands in the Chinese market as the company expects a high volume growth from the Chinese market in the years to follow. Forster also mentioned the fact that the Chinese market has contributed significantly to both the brands. While some are of a view that the Tata Group has made a wise buy at $2.3 billion for Jaguar and Land Rover brands, some believe it was too much to ask for, especially after the slump in sales the companies suffered due to the meltdown. However, after two years of its acquisition, Tata Motors is all set to make a significant move in the Indian automotive market by setting a sourcing office in Pune, which will help in sourcing components from the Indian vendors for the JLR brands. Since the Tata takeover, Jaguar Land Rover has for the first time reported profit in a quarter. Ratan Tata led Tata Motors acquired Jaguar Land Rover in 2008. Since then, it faced many problems during the slowdown and fought bravely to each one of them and finally by axing some staff and increasing the sales of luxury cars in the recovery period it has reported profit for the first time. London, Jan 26 - The chief executive of Jaguar Land Rover, the Indian-owned British luxury carmaker, has stepped down from his post, the firm has announced. A spokesman said Monday the departure of David Smith was not linked to the breakdown of talks last week between management and unions over pay and conditions. "We are disappointed the discussions ended without agreement, but his departure is not linked to the talks," the spokesman said. 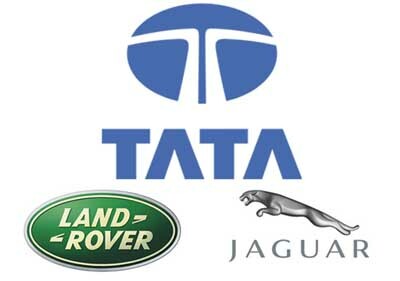 Tata Motors, the automobile manufacturing giant of India, has announced that the company’s British subsidiary Jaguar Land Rover (JLR) sales has helped the company’s global sales to increase by 62% in the month of November. The company has informed that the JLR has sold 18,825 units in November, out of which 4,333 units were sold by Jaguar, which is 2% down, while Land Rover sales registered an increase of 45% to 14,492 units. London, Nov 16 : GE Capital Monday signed an agreement with Jaguar Land Rover (JLR), the UK-based subsidiary of India's Tata Motors, to provide a working capital facility of up to 170 million pounds (over Rs. 1,300 crore) for a five-year term. Coventry, England - Indian-owned carmaker Jaguar is said to be working on a bold new five-door sports hatchback with lightweight aluminium bodywork and a sporting estate version of the XF saloon to coincide with a facelift for the model. According to Britain's Autocar magazine, the five-seater has not yet been given the go-ahead but top executives of the company owned by Tata are believed to be strongly in favour. The car will take its styling cues from the R-D6 concept hatch shown at the 2003 Frankfurt show. The move by auto giant Jaguar Land Rover, owned by Indian automobile giant Tata, to close own one of its plant in UK irked the Workers Union. The union alleged that the firm is proposing to close its final salary scheme for new staff. Besides, new recruitments would be made by Jaguar Land Rover offering 20 per cent less salary as being drawn by current employees. The recession hit company has announced to close its Jaguars manufacturing utility at Castle Bromwich in the West Midlands. The tug-of-war is continuing between the British government and Tata Motors over the terms and conditions of the sanction of loans by the U. K. government to the Tata's Jaguar Land Rover. Business secretary Lord Mandelson has agreed to simplify some terms and conditions regarding loans and advised Tata Motors to accept the revised offer of the U. K. government. Speaking on the topic, Lord Mandelson said, "Having been told there was great urgency, we have made proposals and offers and now we are waiting for a response."